You are here: Home / News / Prison Reform: Major Achievement for Our President. Prison Reform: Major Achievement for Our President. (ThyBlackMan.com) The FIRST STEP Act is the beginning of a transformation of America’s federal criminal-justice system into what it should have always been: a system that makes America safer. This legislation unites conservatives, police and civil rights advocates, civil libertarians, business leaders and supporters of social justice. Supporting this legislation means supporting ideas that all Americans want – from police to Democrats to Republicans – an America that is fair, an America that puts Americans first, and that makes America safe. This legislation provides a way for prisoners to reenter society and become productive citizens again, through education and job programs that get them back on the right track. 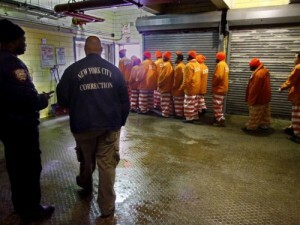 Ninety-five percent of prisoners who enter federal prison will one day get out. Why would we not do what we can as a society to make sure they are connected with their families, that they are connected to jobs that will prevent.